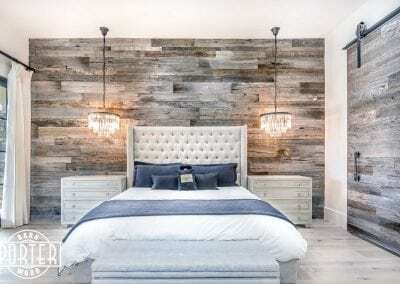 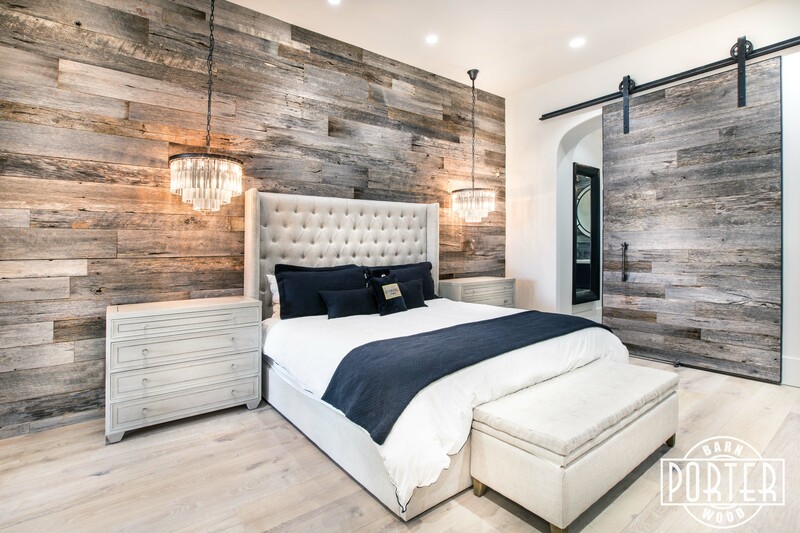 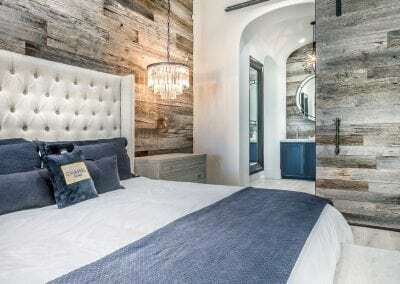 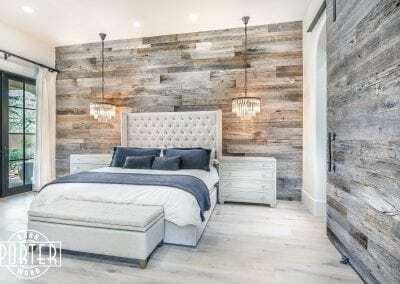 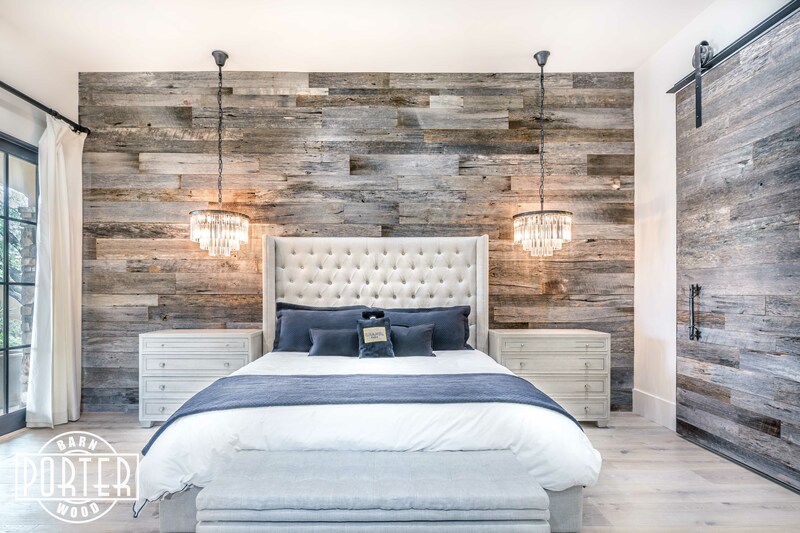 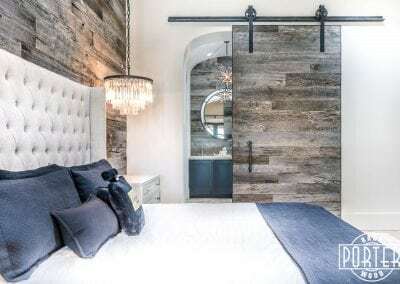 Here’s a Reclaimed Tobacco Barn Grey wood wall we installed for a customer in the Master Bedroom of their home in Scottsdale, AZ. 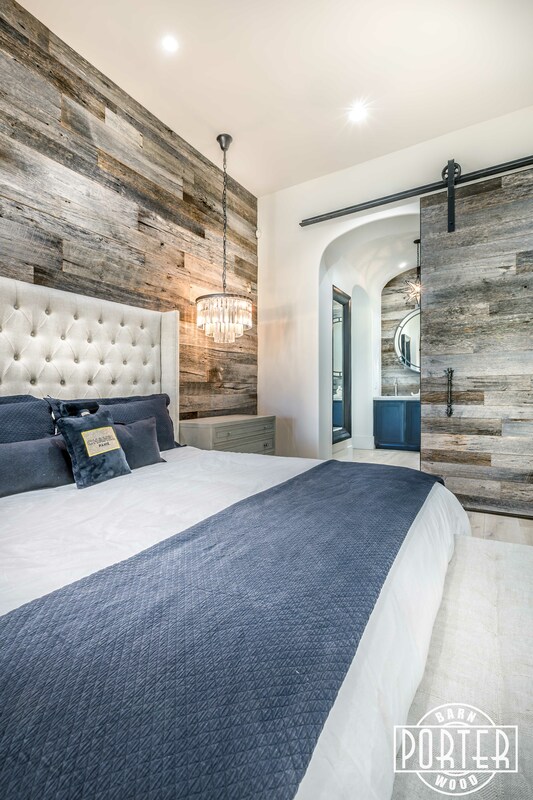 The wall turned out great. 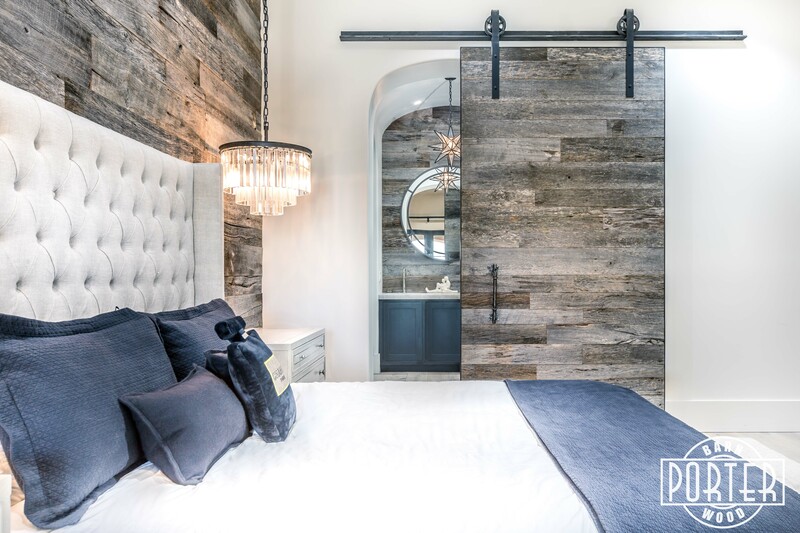 It looks perfect with the bed, night stands & chandeliers…But it even looks better with the Arched Tobacco Barn Grey Wood Wall and Tobacco Barn Grey Sliding Barn Door in the same creative space.